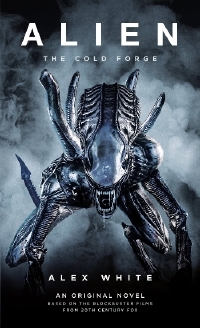 In this special bonus edition of The Quietcast, I talk to Alex White about his Alien tie-in novel, "Alien: The Cold Forge" as well as the Alien franchise as a whole. We also speak a little bit about his new series of sci-fi books from Orbit Books, The Savagers Series. The first book of that series is "A Big Ship at the Edge of the Universe" which is out now and the second, A Bad Deal for the Whole Galaxy comes out in December. That book is available for pre-order now. We hope you enjoy this interview and check out some of our past interview including most recently one with the directors of Prospect.